Teaching has been a part of Lindsay’s life for over a decade. Five years as an elementary teacher in Chicago Public Schools sparked growth and fueled passion. Following a move to Kansas City and the birth of her children, she found her way to a yoga mat and the trajectory of her life was indelibly shifted. She felt a connection to herself and something greater that left her excited to dig deeper and ultimately led to her combining it with her love of teaching. Lindsay thrives on creating a community with her students and empowering them to bring mindfulness into every facet of their lives. She draws inspiration often from her spiritual teachers - Hayes (3yrs) and Mara (6yrs) and infuses her classes with intentions meant to deepen her students' experience. internal and external worlds, and striving to inspire change and action. Kathy, RYT 500 in training, is known for her compassion-centered teaching style that focuses on bringing her students into their bodies through connecting their body and mind. As a past athlete (she played volleyball for 10 years), Kathy came to the practice of yoga as another way to exercise. But after practicing for a few years, she found it was so much more. She now has been practicing for over 10 years and loves to share her knowledge. If you ask her about nutrition, yoga or fitness, she will light up and can talk for hours. Kathy’s teaching style includes several forms of yoga, although she loves going back to her roots and teaching more traditional styles of yoga, like Sivananda, of which is the lineage of the school she trained at. She also loves to weave in educational nuggets on nutrition and anatomy as that is what her area of study is outside the yoga world. Kathy is drawn to a holistic viewpoint of health and finds many connections between these areas. In her spare time, she enjoys making evidence-based videos and writing about nutrition and yoga. Jeannine Bush Clinton E-RYT 500, is the Founder of Essencia Yoga’s Registered Yoga School, offering 200, 300 and 500 RYT Accredited Certifications. As the Lead Instructor, Jeannine teaches each class with a commitment to share the essence of yoga. Her intention is to invite all that come through her classes, to grow in their awareness of the gift of breath, through the practical experience offered in class. The process of movement and breath connection leads the practitioner through the opportunity to connect with the Essence of breath and life. She integrates the wealth of treasure found through connecting with ancient tradition and ritual, having come through the Sivananda Line of instructors, as well as the very intuitive flow found in more modern expressions of Vinyasa Flow. Her attention to detail has gradually become highlighted as she has personally experienced a renewed commitment to the growth and development that can occur with cultivating the core structure and alignment of an individual's practice (of asana/of teaching) from the grounding established in the foundational principles of yoga, integrating mind, body and spirit. This balanced blend is formed and informed by her training received under various styles of instructors, some of which have brought about great affirmation of her intuition and some of which have kept her accountable with a more definitive approach. She incorporates into her teachings, the eight limbs of yoga, asana, pranayama, meditation, world music with tribal beats, silence and the restorative healing found in a more restorative approach as well. Practicing since 2000, Jeannine views yoga classes, workshops, and trainings as opportunities to create a space for people to make key connections where needed. Yoga meets us where we are, inviting the breath in, releasing the toxins out, invigorating the muscles, bringing a greater sense of calm, adding greater balance and focus, while eliminating stress. This will bring about a clearing out of varying forms of doubt, fear and illusion; freeing up the whole person, to shine forth with greater vigor, as they live in greater alignment with their darma, their essence, their life purpose. After the first few months of Yoga and Meditation Practice, I was amazed by the positive impacts & results. The practice of Yoga aided in healing from toxic & unhealthy lifestyle habits, as well as heal my Mental Health. I sleep better, feel less anxious/stressed, am happier and my body is rejuvenated & restored every day I practice. Yoga quickly became the most influential thing in my life and continues to empower, evolve & grow me daily. I began to immerse myself into the Yogic lifestyle and it made me rethink many of my beliefs and habits. I learned to Love myself. I learned to Forgive myself & others. From feeling unworthy to empowered, Yoga helped me find passion and meaning in Life, discover amazing things about myself, as well as create a desire to become my greatest version. The Power of Self Healing is one of the best gifts you can give yourself. Yoga led me down the path of Remembering the power we all have to Heal ourselves within & with the gifts of Nature. Yoga expanded my knowledge of life through its invaluable lessons. I am stronger, healthier, happier, more agile and athletic than I have been in my entire life. My goal as a teacher is to return all the gifts I have received back to you and to share Love & Health with anyone who steps into class. Maggie became interested in yoga several years ago when she resided in Chicago with her husband, Greg. It took a while for her to move past the asana piece of her practice and find the spiritual and emotional connection that yoga had to offer. Maggie continued to practice through pregnancy and beyond. Her passion for teaching others while staying committed to her practice, led Maggie to obtain her RYT 200 , as she has been teaching yoga to adults and children for the past 6 years. When she is not sharing her guidance on the mat, she can be teaching children, reading, baking, listening to music and spending time with her family and friends. Sara has found yoga to bring her clarity in a season of great challenge. Most people consider the teen years to be the most difficult time of life, where there is great vulnerability to the varied levels of pressure found in school, with peers, even in family relationships. Like never before there is desire for autonomy and acceptance. Sara believes that if people can accept themselves as they are uniquely, they will experience freedom. Sara would like to encourage other teens to pursue their passions and not worry about their age or what others have to say. She finds her bliss is a gift whenever it presents itself. For herself, Sara draws much of her inspiration from the water, and brings a calm, free-flowing mentality to her classes. So, get out of your head and onto your mat and explore the possibilities that are available to you, as a teen in yoga. We are offering this class as a "Teen Yoga Sampler" of what might be available to you on a regular basis during the school year. Nick walked into his first yoga class in the Fall of 2012 without realizing the immensity of the gift that would be inside. Putting words to it is still a work in progress, but it is a felt experience that he aims to share with those that attend his classes. Using mindful breathing and alignment based postures, you'll be given an opportunity to deepen the connection with the world around you and the teacher within. 100% of the income I receive on Sundays will be used to fund the account, so you are supporting people around the world at no additional cost beyond normal class fees. Of course donations will be accepted to accelerate the impact, but it's important you know that simply being there is making a difference. While we breath and move, a woman from Pakistan in need of a sewing machine, or a teenage boy from Cambodia seeking school tuition, will be getting that much closer to their goal... how cool is that? These zero interest loans are a gateway for those who cannot access credit through conventional institutions, and with a 96.9% repayment rate, as the money is returned, it will go back out into the world. Please share the journey with me. They need us and I need you. Attending classes, making donations, and cheering on the cause will help the good seeds grow. Want to see the faces of those you're helping? Sign up for the newsletter to stay connected! Simply respond to this email or locate the sign-up sheet at the studio on Sunday. Samantha’s yoga journey first started back in 2012 as a result of many life circumstances, which ultimately led to her taking her first exploratory step into the world of yoga. A firm believer in life’s beautiful synchronicities, Samantha has no doubt that a bout of shingles caused by work related stress and depression lead her one day to a meditation class, which later opened the door for her to feel guided to sign up to a surf and yoga retreat in Morocco as a then non-yogi!. That very action ended up being life changing, as it inspired her to teach herself yoga via DVD’s prior to her first retreat, and by the end of her first yoga retreat, she was a converted budding yogi! Over the years, Samantha has enjoyed exploring and practicing yoga in its many forms (including Power Yoga, restorative, Kundalini, Vinyasa Flow and Hatha), and feels fortunate to have experienced yoga retreats globally as an opportunity to deepen her practice, and connect with so many liked minded yogi souls and talented instructors. For Samantha, these retreats are investments in her well being to completely unplug from the noise, chaos and daily grind of work and allow herself space to truly reconnect, re balance, refocus and reflect on what is important in life. Samantha has found that her daily practice of gratitude, meditation and mindfulness along with yoga, has helped to cultivate a trans-formative shift in both her mindset and approach to life itself - which in turn, has changed her life for the better. Yoga has brought her both healing and personal and spiritual growth on many levels. It has helped to equip her with tools that enable her to navigate the obstacles that life can sometimes present, and to tackle life from a place of reflection and gratitude and see challenges as a source of personal growth and expansion. As a HR professional during the day, her yoga practice provides a welcome mental escape from the corporate world, and has brought stillness and balance to help to tame her monkey mind! A student of life and yoga, Samantha is an RYT 200, taking her yoga practice to the next level as a teacher and is the only Brit member of the Essencia Yoga community thus far. She is also a Level 2 Reiki Practioner, Mala Jewelry maker and a creative who enjoys journaling and traveling. Mary Rittenhouse-Howard found yoga for the first time almost 17 years ago. It was not until recently that yoga stopped being something she did and became part of who she is. Mary truly believes that yoga is for everyone despite age, body type or physical limitations and through constant practice and dedication the movements, breath and poses can find anyone. As a vegan of 20 years, Mary believes in practicing compassion on the mat and off. A wanderer by heart, she also believes that yoga is a useful tool to help still our sometimes restless minds , bodies and hearts. Her class style is typically playful, inviting, mindful and soothing. Her goal is to share her love for yoga with as many people as possible. Mary completed her 200hr RYT with Jeannine Bush-Clinton and started her 300hr certification program in early 2016 also under the guidance of Jeannine as well. Her goal is to offer pranyama and meditation to her students, as well as asana, to offer a well balanced mental and physical practice. Currently Mary teaches a variety of classes at Essencia including Hatha, Vinyasa and Restorative. After an initial exposure of yoga in 1972, Maggie has had yoga as part of her overall fitness regime. Maggie worked at the Chicago Health Clubs as fitness instructor. Her background in dance gave her the opportunity to dance with a company in Northern Spain. In the last 20 years Maggie’s love of yoga has deepened as she studied with various renowned teachers including Rod Stryker, Gabriel Halpern, Shiva Rae and Janet Stone. 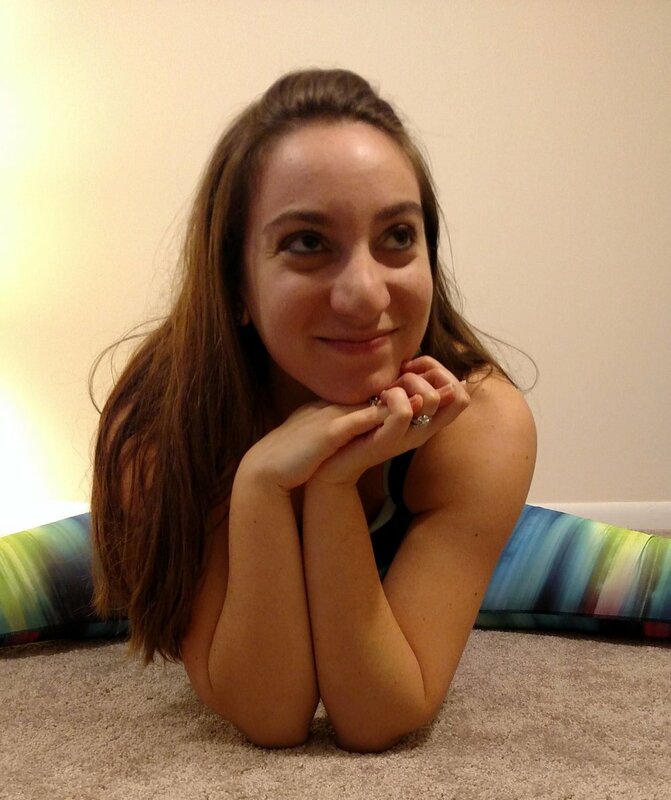 Maggie hopes to integrate all of her experiences into creating a space that allows practitioners to generate energy to open their bodies and minds through connecting with themselves and the poses on a deeper level. She continues to experience, through teaching, how much yoga works on bringing alignment to the spiritual self through physical practice. She enjoys being a lifelong learner and feels inspired to continually deepen her practice and knowledge to be able to bring these benefits to class. She retired from teaching at the high school level a few years ago and during her years of teaching, she experienced that she learned as much or more from her students as they learned from her. She looks forward to this same fulfilling exchange in the yoga community. It brings my heart great joy to walk with others on their spiritual journey. As Ram Dass says: “We’re all just walking each other home.” It is my intention to cultivate a sacred space where growth, healing + transformation can take place. I teach from a heart-centered awareness, finding inspiration from my teachers, quotes, meditation, Nature and the Divine within. The style of yoga I teach focuses on mindful movement, guided meditation + pranayama. I want my students to leave not only with a deeper sense of connection to their body + soul, but also to me and the community they just shared their practice with. I completed my 200 hr YTT with Kula Collective in Mexico. I studied with shaman CJ Ananda who focused greatly on ayurveda, plant medicine + shamanic cleansing. I have a love for tea, aromatherapy, Ayurveda, dancing + cacao! My soul’s purpose is to dwell at the intersection of spirituality, adventure + selfless service. Throughout her personal development, Ingrid found that seeking knowledge took her through a path that was beyond intellectual gains. It evolved into a path that taught her to act, reflect, and modify. Applying these concepts to both the physical and mental is invaluable. With Yoga, Ingrid found that she can take care of these faculties concurrently, with benefits beyond any expectations set. Ingrid Pipkin is currently a teacher at Essencia Yoga, consistently practicing since 2014. She also completed a BS in Management Studies from UMUC and a Master of Leadership Studies from North Central College. Amy has been an avid yoga practitioner for the past 10 years, not only practicing, but living the lifestyle. Through yoga, she has been able to recover from injury to her physical body as well as her emotional and energetic bodies. She is a champion for improving health and wellness, sustainability and the environment through education, action & love. She advocates for the rights of all humans, adores nature and has begun traveling the world, beginning in Thailand. One of her goals is to practice all kinds of Seva and giving back everywhere she goes. She is spiritual, sensual & conscious of our universal connection, sharing her enthusiasm with everyone she encounters. Her daily meditation practice helps keep her grounded as she moves throughout her day. Amy is 200 RYT, studying in Santa Barbara, CA, and has been teaching for almost 6 years. Like so many people, I began practicing yoga for fitness and stress relief. My body became stronger and more flexible, my mind a bit more quiet. But yoga is awesome because no matter why we come to the mat in the first place, we'll receive all the benefits of the practice if we just keep... practicing. Over the years I've learned the invaluable importance of showing up as I am, both on and off the mat. I have learned to have more compassion and patience for myself and others. I have learned there is always more to learn! I am fortunate to have teachers from a variety of lineages - Iyengar, Ashtanga, Sivananda, and Forrest yoga - and I draw from each of these traditions in my personal practice and teaching. Through deliberate movement and body awareness, my goal is to create a space where students can be completely absorbed in the present moment practicing asana as a moving meditation. To strengthen, to soften, to calm. Who knows, we might even have some fun. Rachel Rusin has been teaching breath-centered, alignment-based hatha and slow flow yoga for 3 years and has been a serious student of yoga in her own practice for over 15 years. Rachel finds inspiration in literature and psychology and draws on her past experience as a high school English teacher to bring poetry, metaphor, and creativity to her classes. Rachel earned her 200 hour certification from Essencia and has studied with many renowned teachers including Aadil Pakhilvala, Carrie Owerko, Tias Little, Rod Stryker, Judith Hanson Lassiter, and Jason Crandall; her love of learning is reflected in the passion and ingenuity she brings to her classes. A lifelong student, she continues to expand her knowledge through the advanced teacher training program at Prairie Yoga (500 hour) and countless workshops, as well as continuous self-directed study. Rachel teaches classes that challenge students to explore their edge using music, creative and thoughtful sequencing, and compassionate touch to provide space and time for inner listening and healing. Following a personal path, Michael was given the gift of sobriety in 2009. That same path eventually led him to a Yoga/12 Step Recovery class and ultimately to find Essencia in 2015 to obtain his 200 hour YTT certification. For Michael, the Yoga experience truly exposed a frequency of living that compliments sobriety so very well that It didn't take long for him to realize that part of this path was to share the gift of Yoga with others. With a strong focus on the meditative qualities available to you through the practice of yoga, you'll find Michael's teaching style to include many breath exercises (pranayama) and energy (chakra) building techniques. While there is so much still to experience and learn in the yoga world, please join him in energizing your day and balancing your spiritual and physical self.